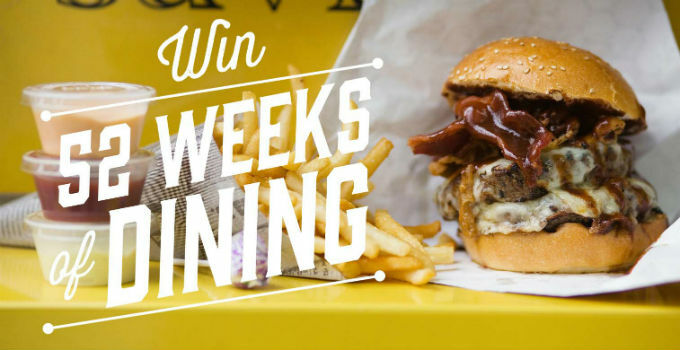 Win 52 weeks of dining! Ever dream of living the high life? From winning a million bucks to sipping champagne with George Clooney (#goals), there’s a whole lot sitting on our wish list – and not much going on beyond a serious drain on our work productivity. Luckily for you, Brisbane, one lucky feaster is about to have all their dreams come true*. We’re giving away a whole year of forkin’ fantastic dining – and all you need to do is enter your deets below. That’s right, kids! 52 Weeks of Dining is back, so grab your BFF (or highest bidder) and get moving. From a killer dinner at the one-hatted Saké and a pizza feast at Julius to a cute brunch date at Todd & Pup, you’ll have 52 weeks of exploring, binging, and food comas to look forward to. How to enter? Head into one of the fabulous participating venues to dine and enter, or ya know, fill out the form below. 2018’s looking pretty damn delicious! Grab a slice of the action – we’ll announce the winner on January 9. *George Clooney not included. Entries have now closed. Good luck!